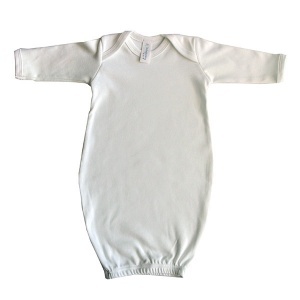 A range of baby sleep gown bundlers perfect to wrap your newborn up during the night or even in the day. Super easy to change and even in the dark at night. 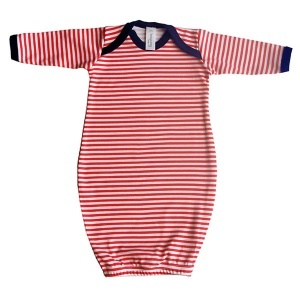 Available in organic plain white and bright colour stripe and star prints. Perfect for baby boy's or girls and a gift which your new parents will really thank you for! Made from 100% cotton and available exclusively at The Baby Hamper Company. Suitable for newborn babies, this range of clothing make changing time really easy with envelope necklines and elasticated bottoms. Keep baby cool in summer and warm in the winter. Add one to your hamper order today, and order with standard, express or international delivery options. Order on-line from The Baby Hamper Company from the convenience of your own home.